We make factual content that encourages positive change - educational and informative with impact. 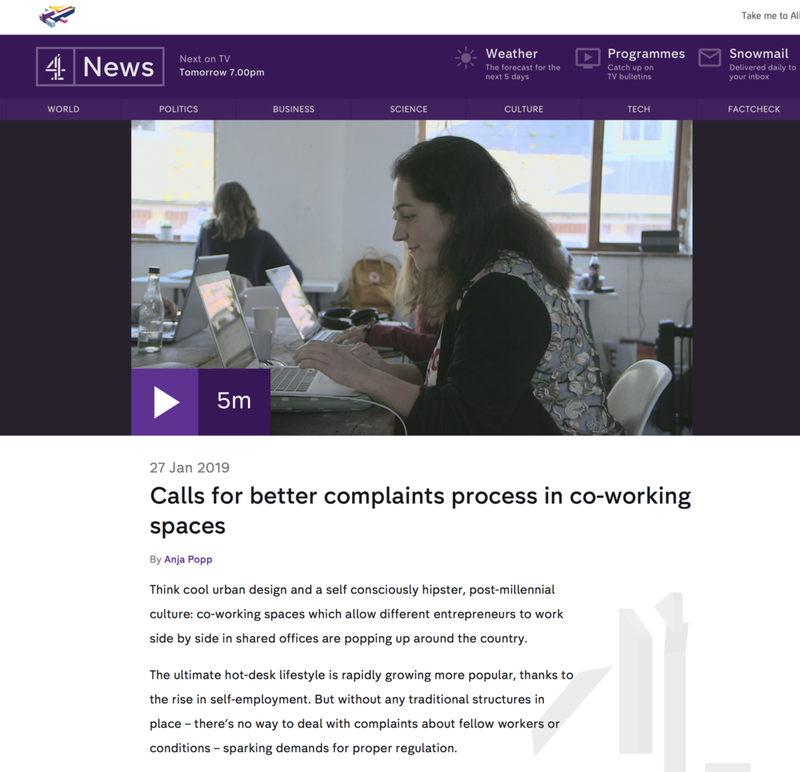 Channel 4 News Film on the Coworking Sector - Broadcast 27th January. Produced and directed by Parisa Urquhart. Cameraperson Caroline Bridges. Reporter Anja Popp. 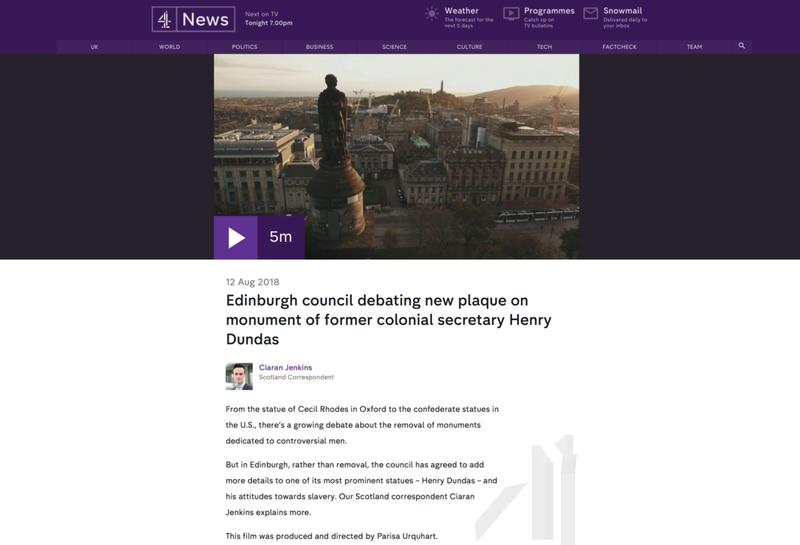 Channel 4 News Film broadcast on the 12th September 2018 on the Henry Dundas Statue, Edinburgh and the push for a truthful plaque. Produced and Directed by Parisa Urquhart, Urquhart Media. Filmed by Julian Schwanitz & Diego Almazan. Drone by Airborne Lens. Sound by Bob McDougal. Soundtrack by Mogwai. The first time in Scotland a Lord Provost hosts a civic reception to acknowledge a city’s involvement in the transatlantic slave trade. Should Scotland's Statues linked to Slavery be Taken Down? 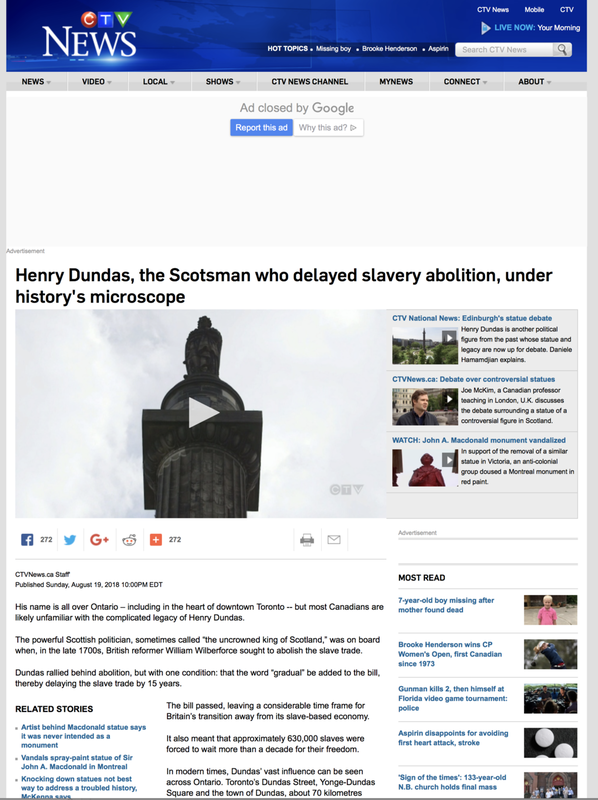 Canadian TV News Piece, inspired by C4 piece, broadcast on the 19th September 2018 on the Henry Dundas Statue, Edinburgh and removal of statues of Canada's first Prime Minister Macdonald. Footage sold to Canadian TV by Urquhart Media. The Henry Dundas Statue, St Andrew Square, Edinburgh - Time for the plaque to be updated? This is a video to help encourage the Council to change the wording on the plaque of the Henry Dundas Statue, Edinburgh. This video explains how Henry Dundas delayed the abolition of slavery for fifteen years and supported slavery as a means to ensure the economic benefit of the UK. Sir Geoff Palmer challenges the arguments that the descendent of Henry Dundas, Robert (Bobby) Dundas gives to defend his ancestor. Palmer then supports the petition submitted to Edinburgh City Council to change the wording on the plaque to make a more balanced truthful description of Dundas's actions. Interview about '1745' - A short film about two runaway slaves in Scotland. "When two young black slaves escape into the wilds of 18th century Scotland, they must use all of their courage and strength to survive, unite, and stay free. On their journey they rediscover their spiritual and cultural connection to one another in pursuit of freedom through a foreign land set against an epic and elemental backdrop at a turbulent time in Scotland’s history." Subscribe to our youtube channel, twitter or facebook page to keep updated about more content we will soon be publishing on this subject. We welcome the sharing of our content on social media to encourage awareness and change.